Everyone wants two beautiful rows of teeth they can show off whenever they smile. However, with so many different ways to do it these days, it can be tough picking the right one. For many people, Invisalign braces seem to make the most sense. While this has definitely become one of the most popular forms of braces, there are some features of wearing Invisaligns that you should know about before beginning treatment so thanks to Dr Cashel at davidcashel.com for his input. Though most people assume only an orthodontist can apply braces to a patient, the truth is that a dentist actually can too. This may lead you to going with a dentist for your Invisalign braces if it’s more convenient, but it’s worth going with an orthodontist instead. 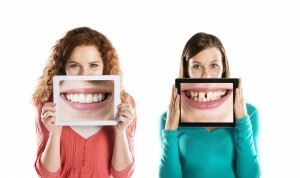 Orthodontists simply have more experience with straightening teeth in general. So while some dentists may have tons of experience with installing Invisalign braces, it’s nice to have someone who will have an eye for all kinds of different issues. They may also be able to prescribe different solutions if you have unique teeth problems Invisaligns may not be perfect for. Remember that your Invisalign braces are a cosmetic procedure. What this means is that most insurance companies won’t be helping you with getting your teeth fixed. If you have an orthodontic feature to your insurance, that’s a different story, but they still probably means they won’t be covering all of it. While where you live will help decide how much your Invisalign braces will cost, you can expect to pay at least a couple thousand dollars, so budget accordingly too. 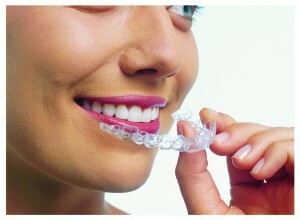 Looking at Invisalign braces, they seem more like retainers, which are far preferable to traditional braces. However, even retainers take work to get the results you want. Don’t think that because Invisalign braces aren’t attached to your teeth that you can get away with not wearing them at all times. You need to keep them in for at least 22 hours every day. If you make a habit out of taking them out regularly for too long, you’re not going to get straight teeth, but you will have spent a lot of money for nothing. Another way this method differs from traditional braces is that you have to change them out regularly. Although you would have to see your orthodontist at least a couple times a day to get your traditional braces tightened, with Invisalign braces, you’ll have to go in an average of every two weeks. While some alignments may differ here, this is a pretty good bet. Over time, you may begin to ignore the braces on your teeth. But many people make the mistake of thinking that because Invisalign braces are practically invisible, they may feel like thin air too. This just isn’t the case though. Instead, they’ll feel like chunky peanut butter is sticking to your teeth, at least at first. You’ll also be tempted to run your tongue along the inside of your Invisalign braces. Resist this temptation as much as possible though or you’ll find that your tongue becomes seriously raw. Become you can feel them, you’ll also assume that everyone around you is starting at them at all times. But the good news is that most wearers report that no one seemed to notice they had them in. This is one of the biggest advantages of going with Invisalign. Overall, Invisalign braces are definitely worth it for achieving a more beautiful smile. Just be sure you understand the above and adjust your expectations accordingly. Also check out this informative Youtube video .